Scientific Industries acquired Torbal™ in early 2014. Scientific Industries was founded in 1954 with a focus on rugged and reliable laboratory products. Torbal™ dates back to the 1800's when it became famous for its superior weighing mechanisms, which were based on the Torsion design. During the 20th Century, Torbal EA-1 Analytical Scales, and DRX Prescription models became the balances of choice for laboratories, schools, and pharmacies throughout the United States. In 2003, while part of Fulcrum Inc, the company developed an exclusive alliance with one of the largest precision scale manufacturers in Poland, and reintroduced the TORBAL brand with high quality precision scales and analytical balances. By 2006 Fulcrum Inc. received Weights and Measures NTEP certifications for five precision class II models. Today, the TORBAL success continues with some of the most advanced precision, laboratory, and analytical scales available on the market. The line has recently expanded to include moisture analyzers, force gauges, and industrial scales. TORBAL Precision scales are constructed with highest quality parts and components. With a robust die-cast metal housing, a superior force restoration load cell, and features such as Automatic Internal Calibration, we are able to guarantee accuracy, quality and reliability at all times. 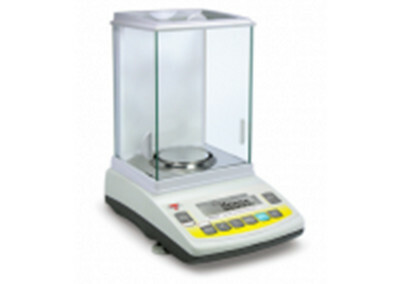 The "Advanced" series top-loading analytical balance series is one of the most affordable analytical balances available on the market. With a choice of 100 g or 200 g capacity, and a resolution of 0.0001 g (0.1 mg) the scale offers superb precision and accuracy. The AGZN is built with a die-cast metal housing and large easily accessible glass weighing chamber. The scale includes 5 weighing functions including density calculation. High precision Troemner stainless steel weights. The material utilizes stainless steel alloy, possessing closely controlled density, low magnetic susceptibility, good stability and resistance to corrosion and handling damage. Weights are available in the following weights: 50 g, 100 g, 200 g, 300 g, 500 g, 1 kg and 2 kg. Stainless steel set furnished in hinged, cover box with stainless steel forceps. This weight set is adjusted to N.B.S. Class "C" Tolerances. 50 g; 1 g Metric & Apothecary Weight Set. Brass set furnished in hinged, cover box with stainless steel forceps. This weight set is adjusted to N.B.S. class "C" Tolerances. Set supplied in wood box with forceps. This weight set is adjusted to class "F" Tolerances. Most Torbal software is available for download free of charge. The software is designed to enhance the scale's functionality when connecting to a PC. Each application is compatible with all Torbal precision and industrial scales as well as analytical balances. Torbal software apps allow users to gather and process weighing data on windows operating system computers. Weighing data transferred from the scale can be exported to other programs or directly linked to third party applications. ProCell serves as a link between Torbal scales and third party software applications. When in use, it will transfer weighing data into any data field of a desired application. Simply point the typing cursor into a data field and the weighing result will be transferred to its destination. This allows the users to save valuable time by avoiding copying and pasting data or typing it manually. i.e. if an Excel spreadsheet is used into which data must be recorded, simply employ ProCell, then open the spreadsheet, place the typing cursor in a desired cell or field and initiate data transfer from the scale. The data will appear in the field containing the cursor. To access the PC Communication Protocol PDF sheet, please see www.torbalscales.com/software/procell.html. Torbal Communications is a simple, but very useful application that allows Torbal scales and balances to connect and transfer data to a Windows PC. The software operates in two different view modes. The "display" mode shows weighing data in real time while transmitting results continuously. The "window" mode records data as it is transferred from the scale to the PC. The data can then be exported to other software or data formats such as MS Excel or MS Word. Data can also be saved directly into a file. Torbal communications allows users to control the scale directly from the PC. The scale can be tared, zeroed, initiated to a weighing result, as well as turned OFF or ON. Several different accessories have been made available to users in order to allow scales to quickly and easily connect to Windows computers. All Torbal scales are equipped with a standard bi-directional RS232C port. Models such as AG, AGN, BTA and BA bench, are equipped with a USB port. In addition, RS232 to USB adapters are available for all Torbal scales and balances. External wireless modules allow users to connect our scales wirelessly up to 300 feet away from the PC. The TORBAL Wireless module allows you to wirelessly connect any TORBAL precision scale or industrial balance to your PC at a range of up to 300 feet. The module is fast, stable and secure, built with industrial strength, it's ideal for all laboratory and industrial applications. The package includes all necessary components to wirelessly connect any Torbal scale in a matter of minutes. For your convenience the module package is furnished with an external PC dongle which gives your PC wireless connectivity and compatibility. When using the PC dongle you can follow easy step-by-step instructions to quickly establish a wireless connection between our scale and your computer, Vista or XP. The Torbal USB adapter provides a bi-directional bridge between a USB bus and the RS-232C serial port located on Torbal scales. Once installed any Torbal scale can be connected to any PC via a USB cable. The adapter is particularly useful when connecting a Torbal precision scale or balance to a PC that lacks a standard RS232 port. The adapter is furnished with a pre-connected crossover link that assures compatibility with Torbal scales, as well as a USB cable and a CD which includes all necessary drivers. A shielded 8' RS232 DB9 female to DB9 male pre-configured cable that will connect any Torbal Scale or Balance to a standard 9-pin RS232 connection found on a PC or peripheral device. Create printed records of weighing transactions; quickly and easily print the weighing result as well as date and time, and GLP information such as model number, unit id number and project number. Results are recorded on 4.3 inch (110 mm) thermal printer paper (no ink ribbons). Unit prints 0.8 lines per second, 40 characters per line at 9,600 bps. The unit features self test and diagnostics for easy configurations. It comes with an AC adapter for 110 V AC, 60 Hertz operation, interconnect cable, one roll of paper and operations manual. The unit measures 6.5 x 5.5 x 2.0 Inches (W x D x H) or 165 x 140 x 50 mm and weighs 1.0 pounds (0.45 Kg). The Torbal Density Determination Kit is designed to allow Torbal Analytical Balances to be used to determine the density of solids and fluids using Archimedes Principle in a way that eliminates the need for below the pan weighing. Torbal also makes available an Excel spreadsheet which makes the calculations required for density determinations. Embedded in this spreadsheet is a table of water density versus temperature from 15° to 27° C in 0.1° C increments. The kit consists of a weighing frame which replaces the weigh pan and adapter, a sinker (the pan that holds the unknown sample), a 400 ml beaker, a frame that supports the weight of the beaker (with its fluid, bracket and thermometer), and passes the weight to the frame of the scale (not the weigh frame). This apparatus will be used to measure the weight of the sample in air, called the dry weight (Wd), and to determine the weight of the same sample immersed completely in a fluid, called the wet weight (Ww). The difference between these two (Wd-Ww) is the buoyancy of the sample in the fluid. Ask us about Density worksheet, Density Determination Guide or Density Analyzer Kits.